Purina Farm, located in Gray’s Summit Missouri, is about an hour southwest of St. Louis. The farms are run by Purina, the St. Louis-based pet food giant. 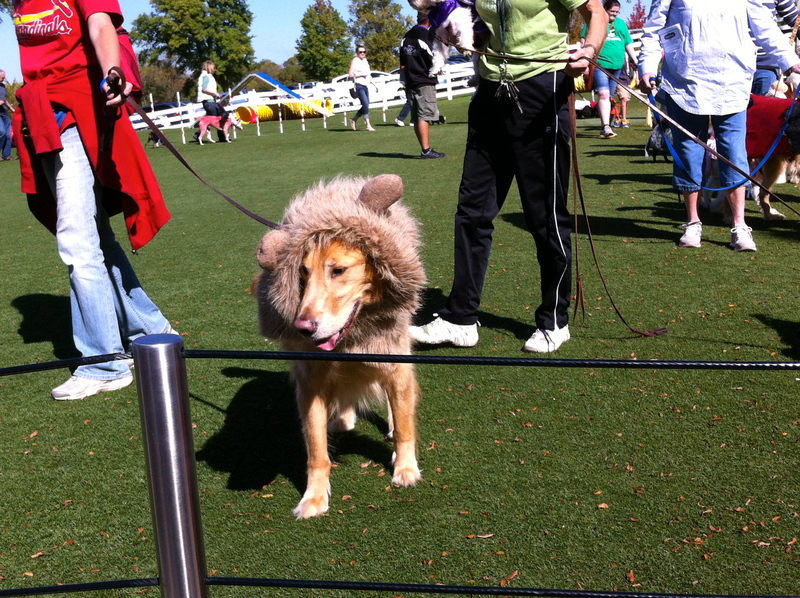 At the farm, Purina hosts exhibits for both humans and canines. Most people who come to Purina Farms bring a dog. 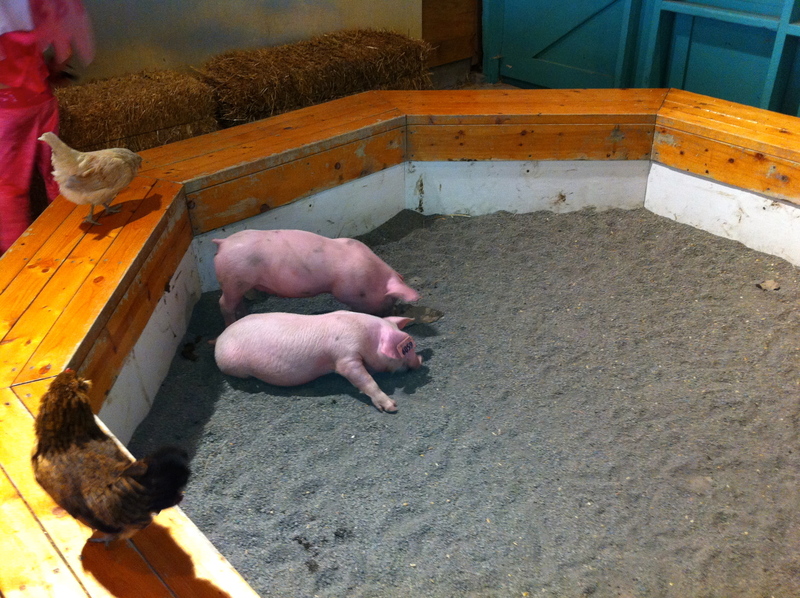 I went to Purina Farms on an unseasonably warm day. The main farm building has an exhibit about the history of Purina as well as farm animals such as pigs and pygmy horses. Surrounding the main barn are different activities for dogs including agility courses, lawns to play around. Additionally, Purina brought in various merchants selling dog equipment including collars, leashes, agility course equipment, and Frisbees. They also had representatives from local kennel clubs. There were at least 200 dogs there that day and each one was incredibly cute. At 11:30, everyone went to the main arena to see a dog show. The show featured the Purina “Travel Team” dogs who did all the awesome dog competition events including a Frisbee catching demonstration, runs on the agility course, and everyone’s favorite, the water jump. The dogs jumped between 15-30 feet to catch the Frisbee!!! 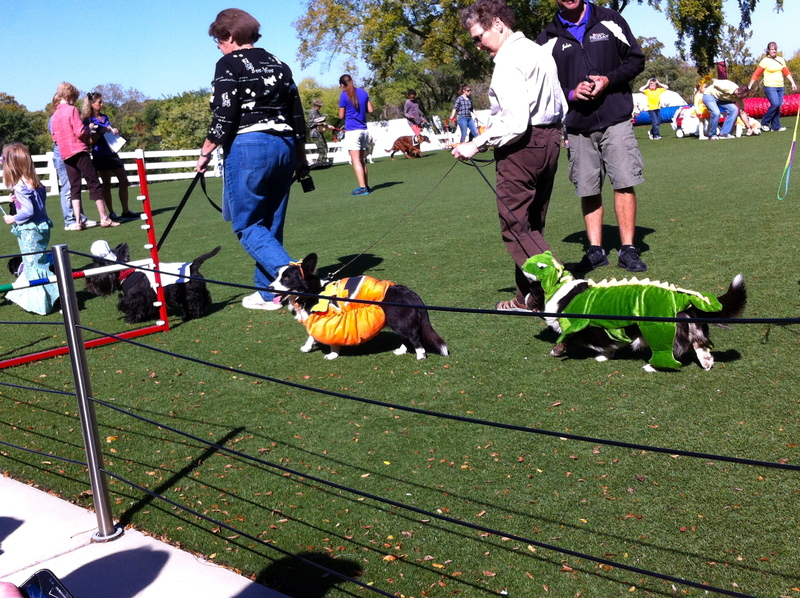 After the main part of the dog show, they had a costume contest for dogs. About 50 dogs entered. 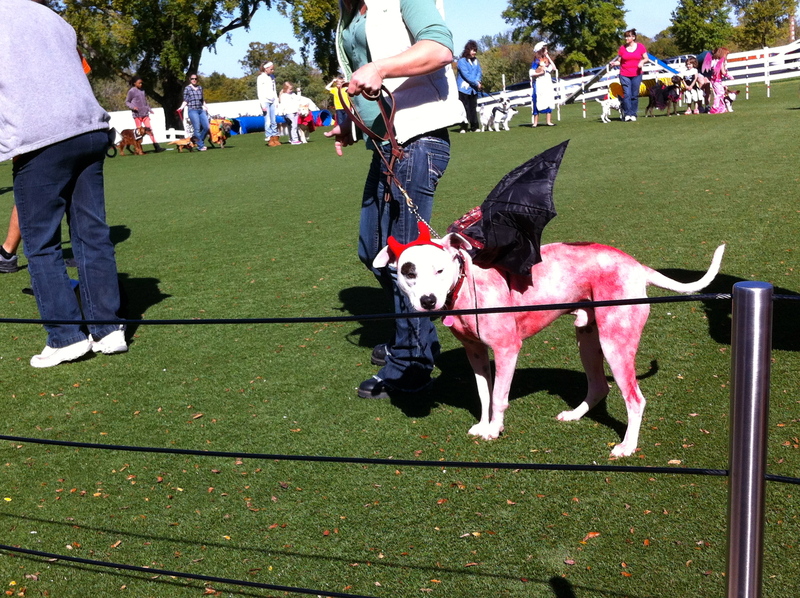 The winning costume was the devil. 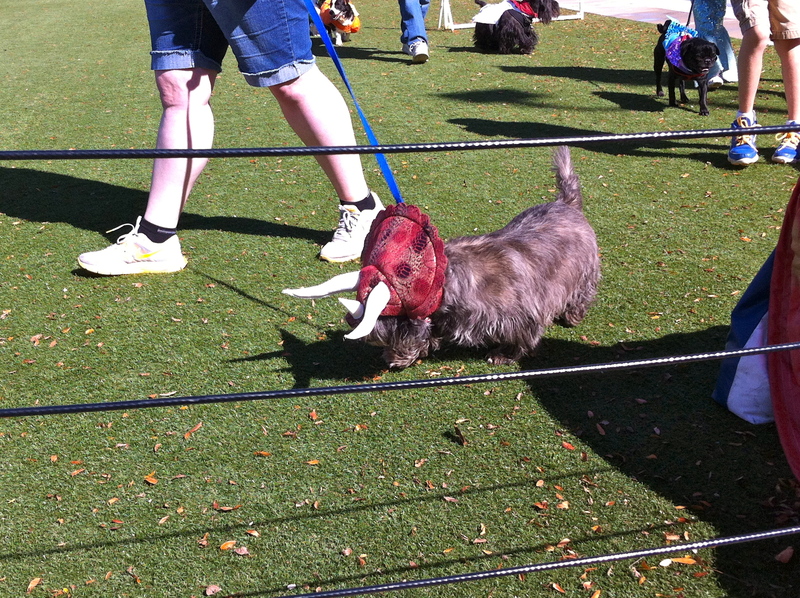 My favorite was a triceratops. There was also a lion and an IPug. While I generally do not support dressing up animals, this was really cute and was memorable. 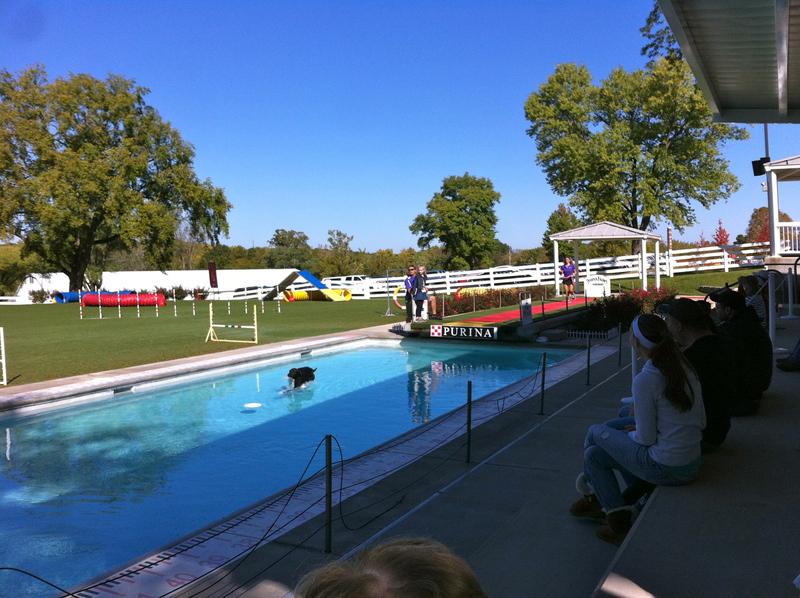 Even if you don’t have a dog, I would certainly recommend going to Purina Farms to dog watch (like people watching) and see the amazing dog show.